David holds the International Compliance Association International Diploma in Anti Money Laundering. After obtaining an Honours Degree in Law and the Legal Practice Course in Chester David worked in enforcement for the Police in England before joining a major clearing bank and spending several years as deputy money laundering reporting officer. He sat and passed the International Diploma in Anti Money Laundering and having obtained experience as a Money Laundering Reporting Officer decided to qualify as an Isle of Man Advocate and take the Manx Bar exams. He is one of the few qualified Money Laundering Reporting Officers in an Isle of Man Law firm. With his years of experience of acting as a MLRO at an international bank, he specialises in regulatory and compliance advice for businesses and individuals. 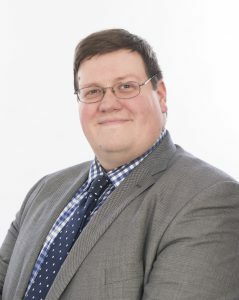 Whilst David’s main focus is in the business regulatory team he is assisting in other areas of Manx law pending being called to the Isle of Man Bar.